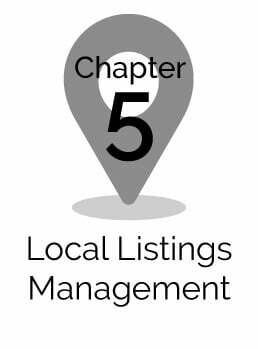 Once your local listings are optimized and your location information is accurate all across the web, it is time to get a handle on one of the most influential components to a successful local SEO strategy – your local reviews. 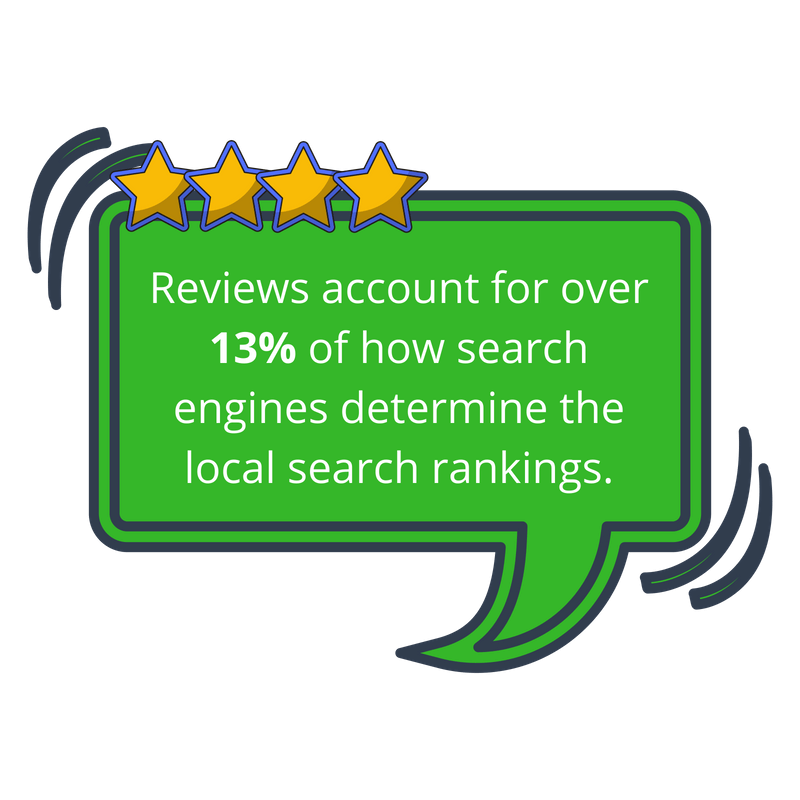 Reviews account for over 13% of how search engines determine the local search rankings and 93% of customer read reviews to determine if a business is good or bad. Reviews are an essential asset for local businesses and whether you like it or not, they are tied directly to your overall performance; they reveal the good, the bad and the ugly about the products, services and experiences businesses provide. When properly managed, reviews are one of the biggest areas where a business can differentiate online and stand out from their competitors in the local search results. 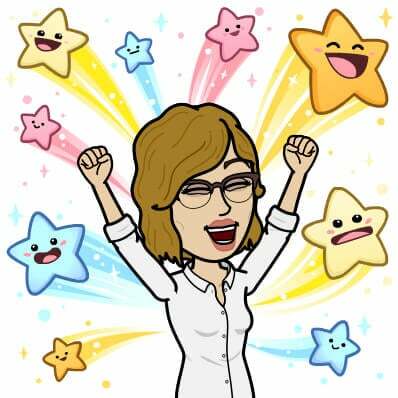 Reviews work because they give search engines and potential customers a first-hand description of what a business is really like and because they come directly from the source of actual customers who have had real experiences with business and the products and services they sell. Reviews offer rich, first-party content that search engines love and match to unbranded keywords to better understand the quality of the products and services businesses provide. Search engines are basically crowdsourcing data in order to collect the most accurate feedback on physical business and compile an extensive database of customer experiences. This database of customer experiences, or reviews, then guides the decisions of search engines and customers. They provide a relatively honest and real opinion about what is actually going on inside a business and a more accurate basis by which to compare physical businesses against each other. 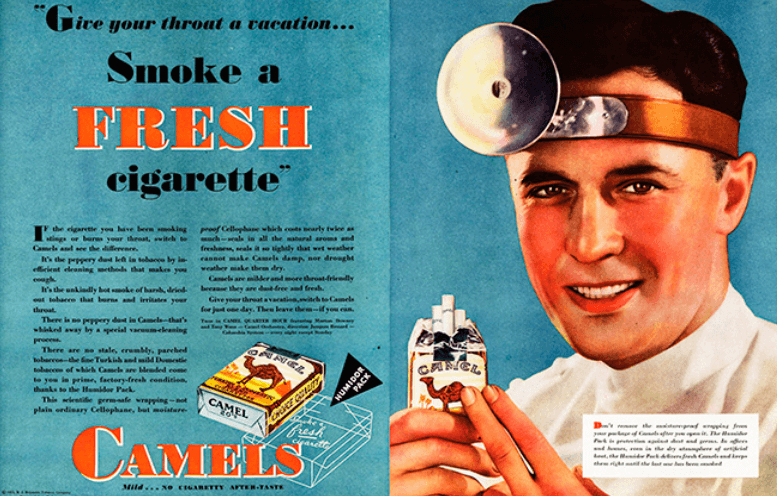 The days of brands convincing customers to buy their products by simply blasting advertisements at them are over. 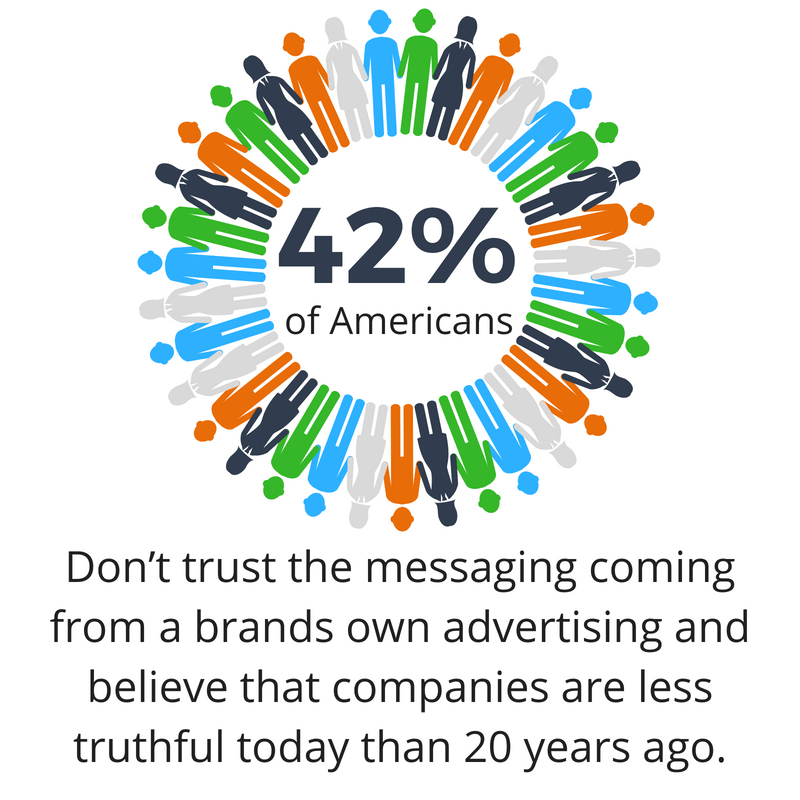 Instead, brands need to look at what is really driving customers to trust a brand – the opinions of other shoppers. 89% of people trust reviews just as much as they would a personal recommendation from a family member, friend, or close acquaintance. Reviews are forcing brands to put their best foot forward or pay the consequences. In the past, aside from word-of-mouth, there wasn’t much of an option for consumers to learn about other customers experiences with a business. Today, knowledge has become power, and reviews give customers the knowledge they need to make confident decisions about which place to visit when they are searching online. Success with search engines: For businesses competing for that vital #1 spot in search results, reviews play a significant role. 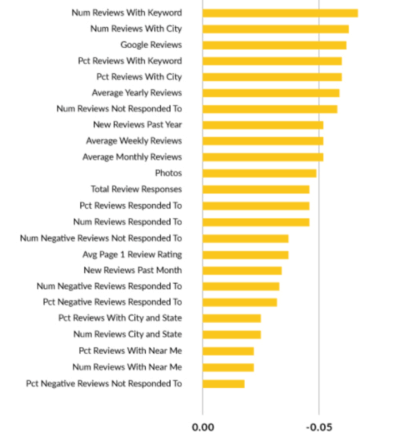 How do reviews influence the local search rankings? Quality – Search engines look at the quality of your reviews, which is often depicted as a star rating from 1 to 5 stars, as a factor when determining the local search rankings. Having a higher average rating than others in that local area tells local search sites that a business provides its customers with a great overall experience. Quantity – The number of reviews a business receives shows local search sites how popular a location is. Quite simply, local search sites see it as more reviews equating to more customers visiting that location. Remember, quantity is compared with others in your area. A restaurant in Toledo, Ohio may be ok with 50 reviews, but that is barely scratching the surface in San Francisco, where many restaurants have thousands of reviews. 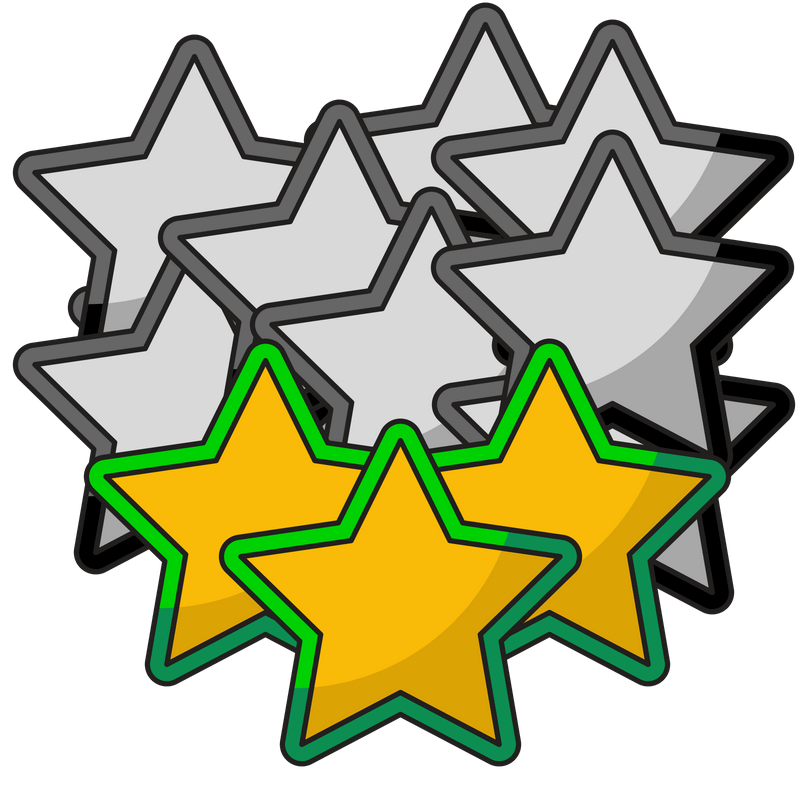 Velocity – The total number of reviews is not as important as other factors when looking at rankings. You could have hundreds of old reviews, but if you’re not getting fresh, regular reviews, local search sites are less inclined to recommend that location over others. This frequency of reviews is also called velocity. 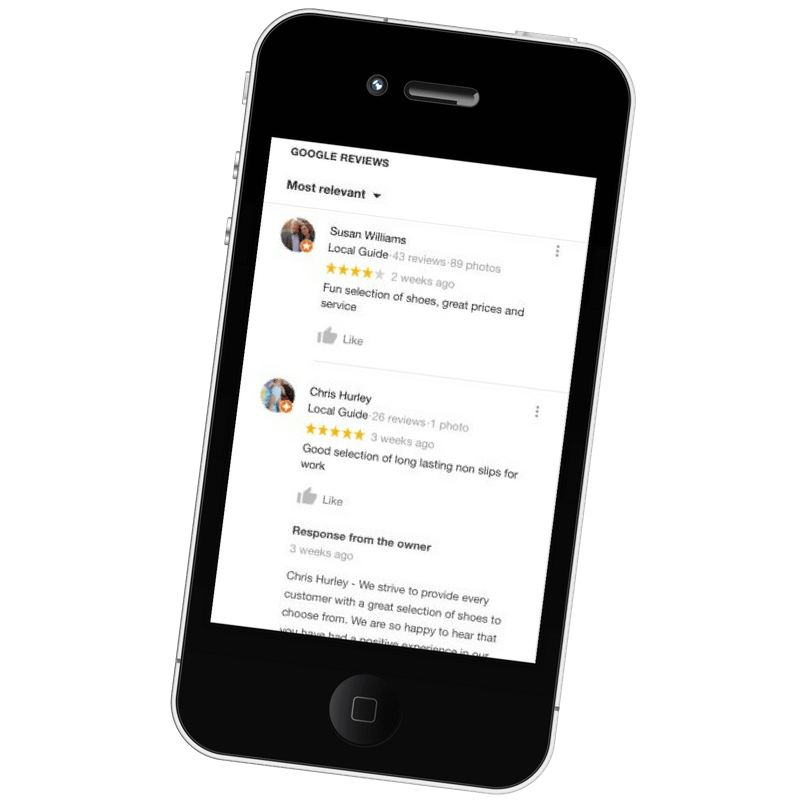 Review velocity means that a location is getting a consistent flow of new reviews on a weekly or monthly basis (when compared with other types of similar businesses in that area). 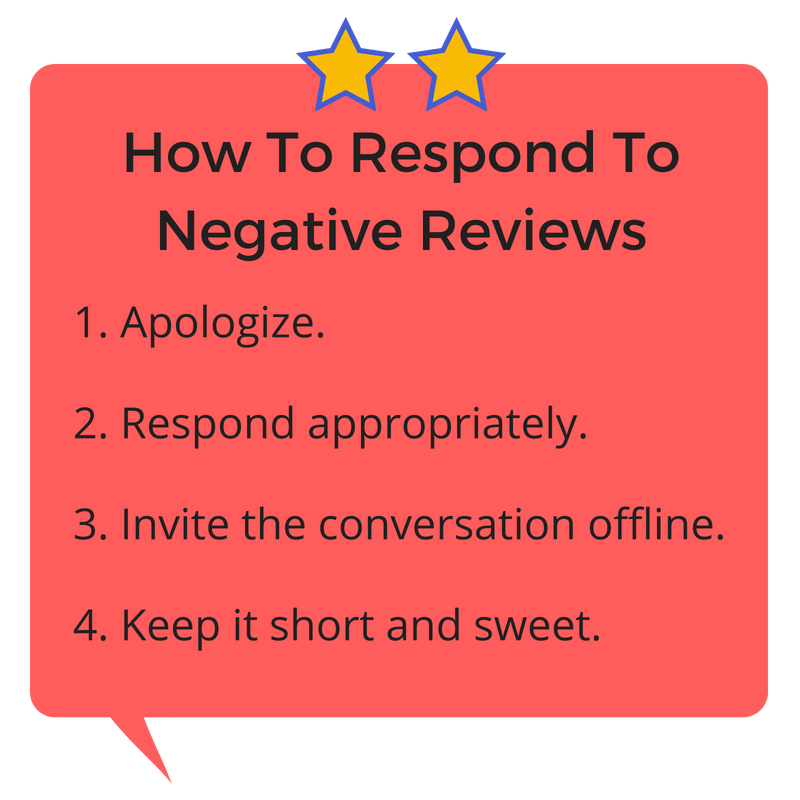 Responses – Reviews aren’t meant to be a one-way flow of information. They are supposed to be conversational. Local search sites love to see when businesses respond to their customer reviews and have confirmed that review responses improve local search rankings. It shows them, along with consumers, that the business is active and engaged online and taking the customer feedback into consideration. In many cases, businesses can even turn that negative into a positive. Finally, consumers post online expecting a response. If you don’t respond, consumers will be turned off and go elsewhere. Studies show a significant increase in customer churn (5-10%) if you don’t respond. Search engines will judge each of these factors for a business relative to the local competitors in its surrounding geographic area. 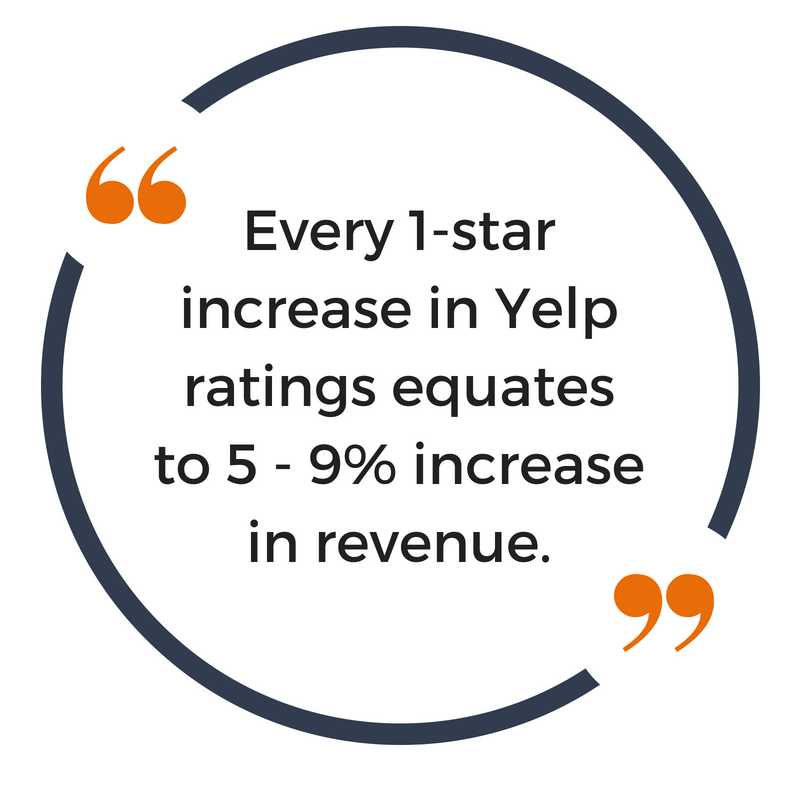 This means that while an average of 3.7 stars, 120 reviews, and 100 reviews responded to may be enough to easily secure the number one ranking position in one city or for one business type (restaurant, auto repair, salon), it may barely be enough to make the top 10 in another business category. Success with the customer: Where success with the search engines is mostly objective, things become much more subjectivewhen trying to determine how reviews influence success with the actual customers. Just like search engines, customers take into consideration review quality, quantity, velocity and responses, but they also take into account a few other things. The content of a review – 40% of customers will form their opinion about a business by reading just 1 to 3 reviews. That means that the content in those reviews is extremely important. Businesses have to deliver on every aspect of the experience because if there’s anywhere they are lacking, they can be sure a potential customer will be reading about it in a review and it might be just enough to dissuade them from choosing that business. Recency of reviews – 44% of people say that a review must have been written within one month for the information in it to be relevant. This highlights the importance of the recency of reviews. 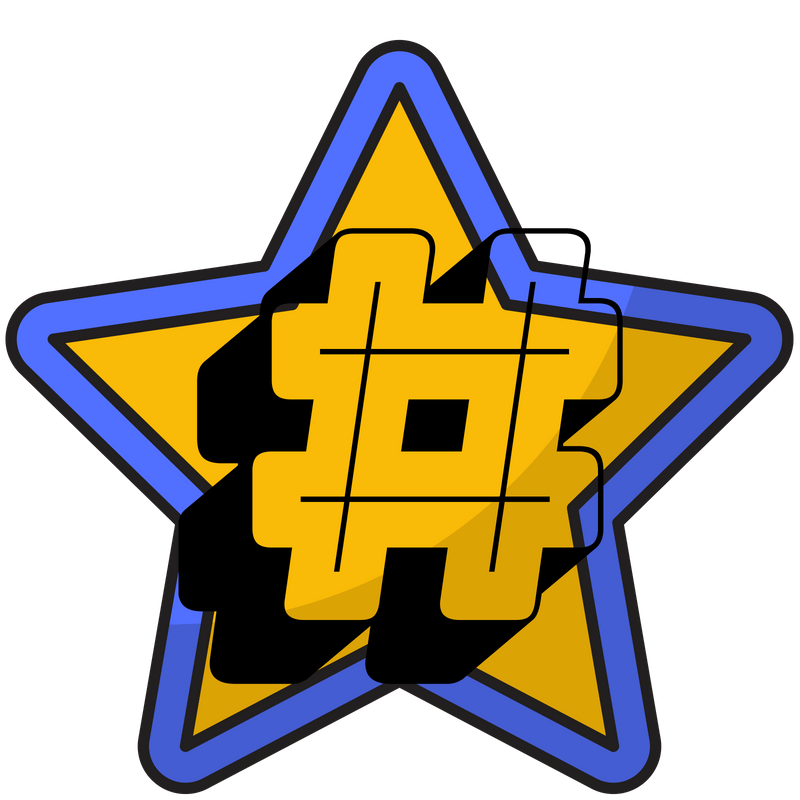 If a business has an average review rating of 4.5 stars but a large majority of the reviews in the last month are negative, the potential customer will make their decision based off of the more recent negative reviews rather than the overall average. Quality of review responses – The other thing that potential customers are looking for is how the business engages with its customers online. Potential customers want to see a business that is responding to customer reviews, thanking them for their feedback and even acknowledging that issues will be addressed. These types of responses build trust and confidence with potential customers. What they don’t want to see is a message that has been clearly automated or no message at all. This show disinterest and inactivity. Authenticity – Consumers can sniff out fake reviews. 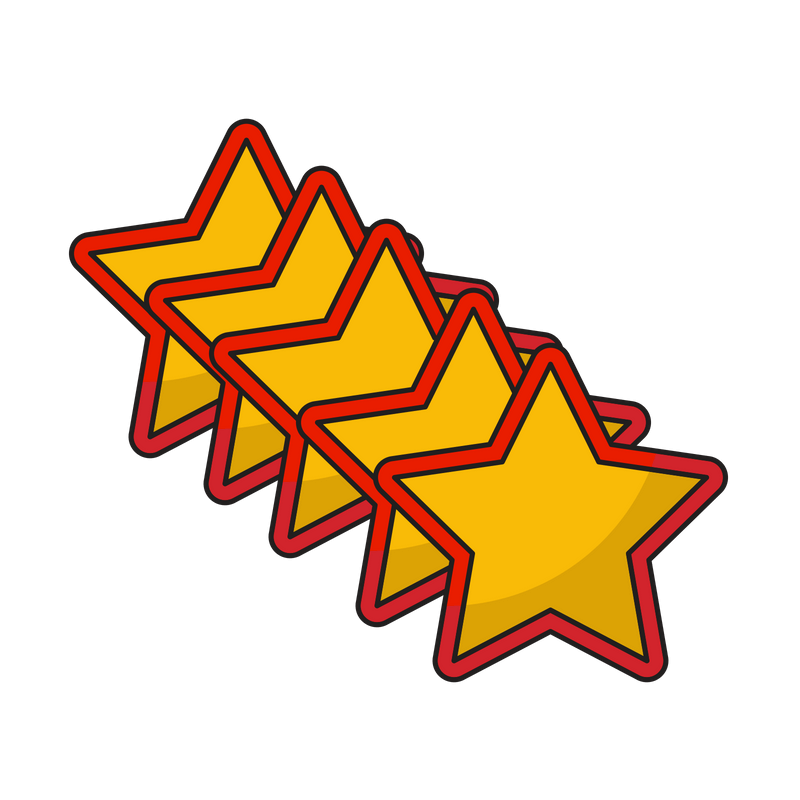 Often if there are all 5-star reviews repeating the same thing, then it may appear someone is making up their reviews. There are services/people a business can pay to make up for their reviews. If it smells fishy (unless it’s a seafood restaurant), they’ll move on to the next option. The most important thing a business can do to create a winning review management strategy is to take control of their reviews. Review management shouldn’t be seen as an afterthought or something that will take care of itself, rather, businesses need to be actively involved and constantly working to control and improve their online reputation. Employ a software – Regardless of whether you have 1 location or 1,000, creating an effective strategy for managing your reviews starts by employing a software. In today’s fast-paced online world, businesses need a real-time and bird’s-eye view of their entire reputation – from their very first review to the most recent – something that manually monitoring reviews can’t offer. Think about it, reviews are coming in at all hours of the day across multiple different sites. And with every location a business owns receiving its own reviews, it quickly becomes unreasonable to manually monitor and manage all reviews. Review Management software automatically aggregate all reviews for every location into one centralized location – even if you only had one location, this would be saving you hours of time every day. 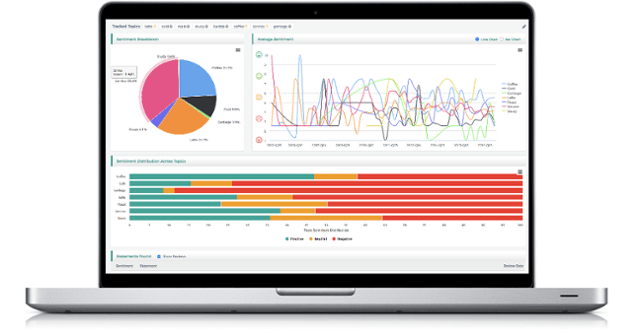 From there, businesses can easily monitor, filter, group, sort, manage and analyze their reviews to help them stay on top of their reputation and get the exact information they need at any given moment. Monitor and Measure – It’s important to keep a constant pulse on each of the sites where you are receiving reviews. This ensures that you always know what is being said about your brand and have a high level understanding of how your customers are feeling. Having all your reviews in one location also gives you the ability to create some powerful measurements and benchmarks. Measure a locations reviews over time, compare rating and reviews between your own locations and measure and benchmark against your local competitors. Sentiment Analysis – Reviews are feedback from customers and as such, they contain extremely valuable insights. The only problem is that when you are receiving thousands of reviews every month, those insights get buried. You can identify individual problems or areas of excellence in each individual review, but It becomes hard to identify any overarching trends. Performing sentiment analysis on reviews allows businesses to unlock those valuable insights and highlight any emerging trends. By breaking down reviews into individual statements, identifying the key topics within those statements and then assigning those topics sentiment scores, businesses can develop a greater understanding of what their customers are saying and how they actually feel. When this knowledge is acted upon, businesses will be able to make real changes and operational improvements that improve the customer experience. Create an Action Plan – There’s is an abundance of actionable data to be derived from customer reviews, don’t let it go to waste. 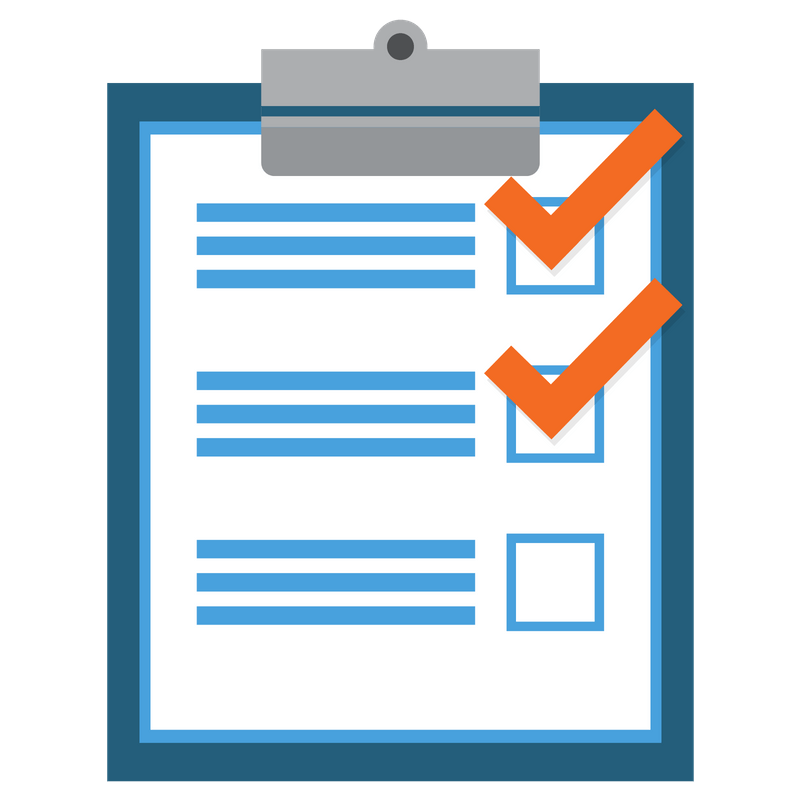 Create a process and decide how your team will act on the information and knowledge they’ve gained from monitoring, measuring, and analyzing all of your reviews. Additionally, create an action plan for engagement and educate your team on your own best practices for responding to customer reviews. Responding to Reviews – Of the customers that received a response from a company after posting negative feedback about their experience, 33% turned around and posted a positive review and 34% deleted the original negative review. This should be motivation enough for businesses to take a proactive role in their review management strategy. If that’s not enough, Google has even confirmed that responding to reviews increases your rankings in the local search results! 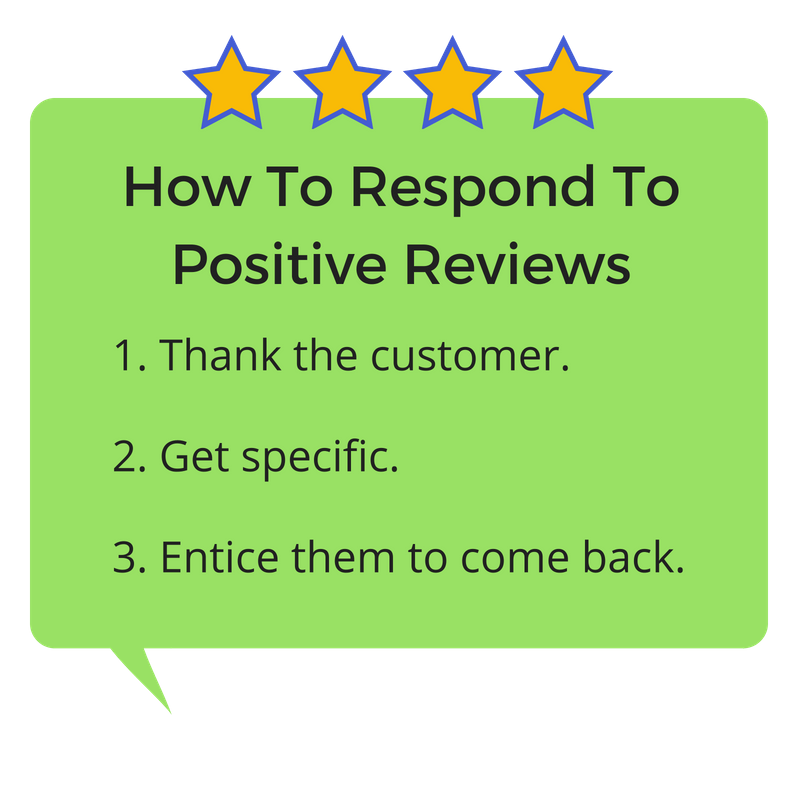 Whether it’s a positive, neutral or negative, it is important to respond to each review. This shows both the search engine and customers that you are active and engaged online and listening to the feedback that customers give you. 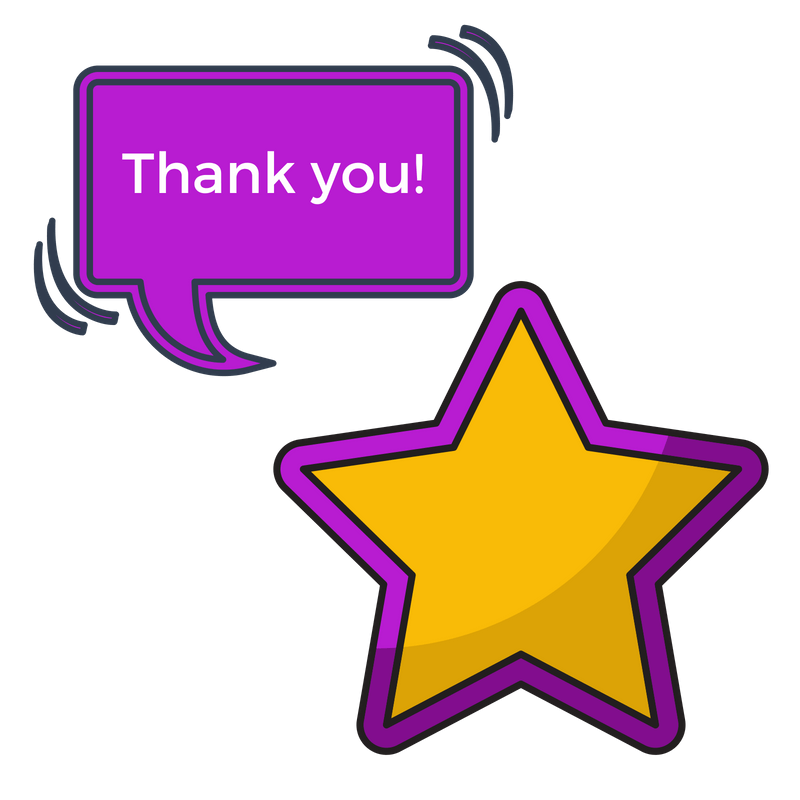 Thank the customer – If a person complimented someone else in real life, they would say thank you; it is no different on the internet. Show them gratitude for their business and the time they took to write a review. Get specific – Generic responses are alright, but touching on something specific to their review adds a more personal touch that customers will appreciate. Entice them to come back – Whether the business tempts them with a new product or just lets the customer know can’t wait to see them again. Give them a reason to come back and bring their friends! Apologize and thank them for their feedback – Negative reviews help corporations make changes to improve current business practices. Apologize for the unsatisfactory experience and thank them for giving honest feedback. Respond appropriately – Remember that the conversation is public and never blame the customer or attempt to argue with them. Invite the conversation offline – Don’t go back and forth with an unhappy customer on a public review site. Ask them for more ‘details to ensure it doesn’t happen again and provide them with contact information so they can get in touch with customer service. Short and Sweet – Don’t ask questions and don’t say more than absolutely needed. The idea is to handle the review as quickly and politely as possible. Get more reviews – Both on your website/store pages and on the local search sites. Businesses want to constantly have more reviews coming in keeping their pages fresh and up-to-date. This is important for improving your local search rankings, creating relevance and timeliness, and improving perceptions with customers who are researching your brand or location. 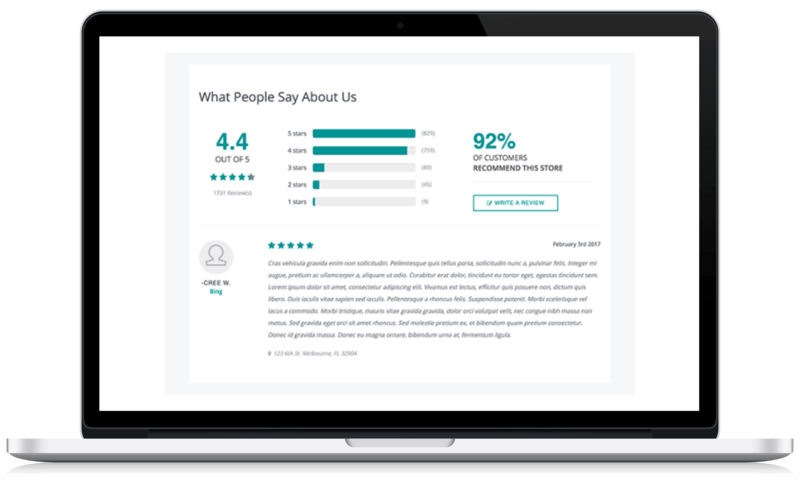 Increase customer reviews and testimonials on your own website and store pages by sending out surveys and review requests to customers after they visit your locations. For local search sites, the best way to increase your reviews is to educate your customers about which sites your business is listed on and let them know how important their feedback is for improving their experience. Also, when customer do leave you a review, you want to be sure that they stick (don’t get filtered out). The best way to do this is to have them check in when they get to your location. Since customers can only “check in” at your location if they are actually there, it sends a signal to local search sites that their review is legitimate. Also note that while sending out review and survey requests are a great option for building content on your own website, you should never use any review generation tools that send customers requests to post reviews on third-party local search sites like Google, Yelp, and Facebook. Review Generation Tools – Review generation tools are used to send out mass review requests to customers via email or text message. After filling out their review, customers are then prompted to post their reviews on third-party sites like Google and Yelp. These types of bulk review tools greatly bias reviews due to the fact that many of them engage in a process called review gating. Review Gating is the processor filtering candidates before asking them to leave you a review. Normally this is done by sending all customers an email template and asking them if they had a positive or negative experience. 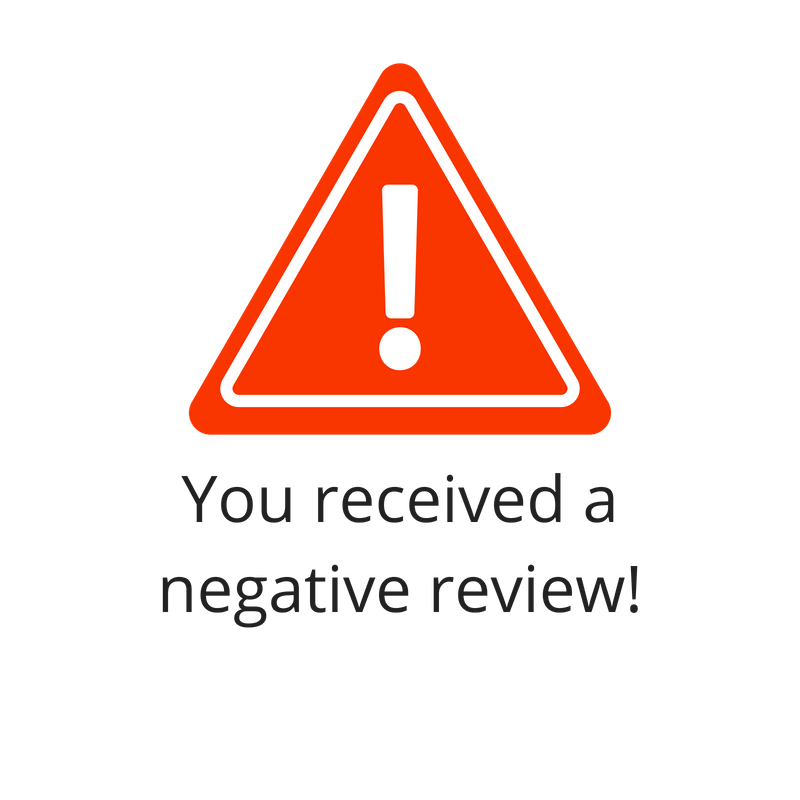 If they had positive experience, they are asked to leave a review on Google [Yelp or other third party review sites], but if they had a negative experience, they are prompted to leave private feedback and are never sent the option to leave a review publicly. This type of review manipulation can have a detrimental impact on the local search and review market. Fake, biased and incentivized reviews can destroy the credibility of all reviews and therefore jeopardize the entire industry if authenticity is questioned. 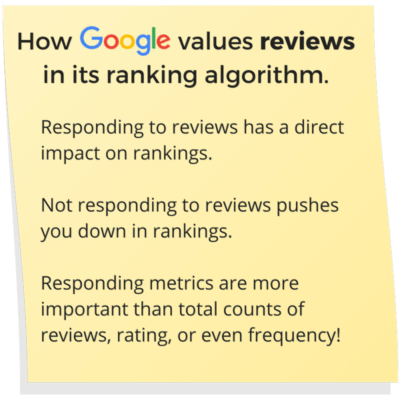 In addition to jeopardizing the review industry, review generation can lead to being punished and pushed down in the search rankings. Both Yelp and Google have taken stances against the act of review generation/solicitation and their policies and guidelines reflect that. Yelp has even created the “Yelp Knowledge Partner” program where they partner with trustworthy and reliable partners to share their data with. Chatmeter is one of only 7 companies in the world who are apart of this program. Review management is an essential part of a successful SEO strategy. Not only do search engines and review sites rely on your reviews to give proper ranking but so do your prospective customers. Things like quality, quantity, velocity and authenticity are all factors that go into search rankings and customer decision making. By monitoring and responding to reviews you can help increase your local SEO ranking and drive more foot traffic to your business locations.